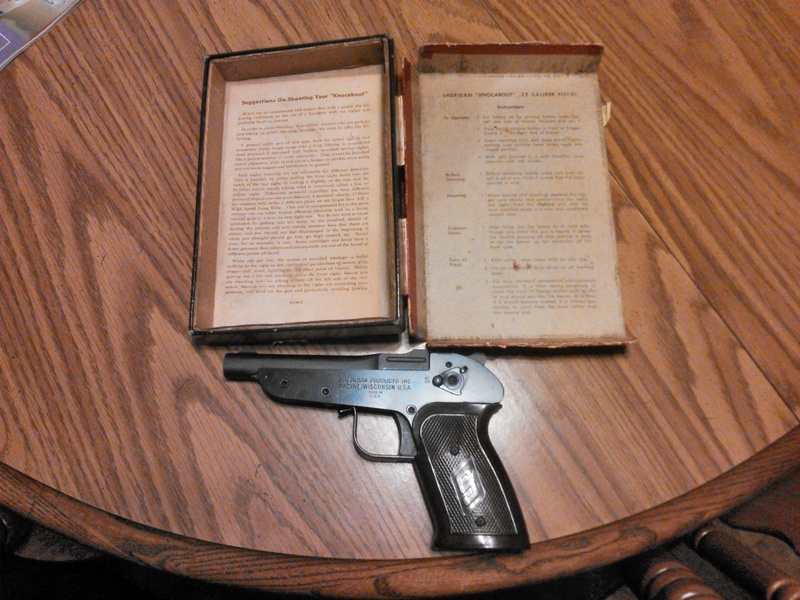 Graybeard Outdoors > Handgun Forums > Rimfire Handguns > The Ugliest .22 made. Actually, I have one and don't think it looks all that bad. Fun to shoot too. Perfect for what it was designed for. I had one back in 1964. Wish I still did. I was just a kid and glad to have it. Forgot I had one of these till I saw this post. Original box is rough but has operating instructions. Those look like genuine plastic grips too. I got one of the Daisy 22 rifle when I was a kid. It was of similar quality. Lots of plastic and wood that did not match. very odd rifle...he still has it, though, he never shoots it. One day, back in the 60s or 70s, I was visiting at my brother's house, when my nephew came to me to show me the new rifle he had just bought. It was one of those Daisy Legacy rifles.. What is an uncle to do? What could I say ? Well; I rather switched the subject saying, "how does it shoot"? We immediately went out back to test it...and as I recall, it shot no better than it looked.. Wish I had known something about firearms back when I bought my Legacy when they came back out in the 80's. The thing was a tack driver, but I could never get it to extract a spent shell. Returned it and got a Marlin 881 that I still have to this day. Pretty sure if I still had the Daisy that I could get it working just fine with some parts tuning. Took the Knocabout out today. Still much fun to shoot. Not a tac-driver, but all on the paper at 25 yards. I’ll probably save my money and instead of buying several cheep guns I’ll just buy better quality and less quantity.